Science-based benefits you can experience for yourself. Thinking of doing a colon cleanse? You’re in the right place, because you’re going to learn about real benefits of colon cleansing with herbs. Unlike some unnatural alternatives (like pharmaceutical laxatives or enemas) that prevent you from walking 5 feet from a toilet, an herbal colon cleanse is safe, gentle, and effective. Helps keep liver and other organs safe. 1. Helps you poop regularly. If you’re like the millions of Americans every year who struggle with occasional constipation, an herbal colon cleanse is a miracle. There are many types of herbs you can use, but we favor two main, ancient herbs: Cascara Sagrada and Senna Leaf. Each of these herbs helps you poop regularly and naturally, because they act on your normal intestinal processes. Cascara Sagrada, for example, promotes peristalsis and stool evacuation. It’s a powerful colon cleanse herb and is found in these herbal colon cleanses. The other herb that shines in helping you poop regularly is Senna Leaf. This leaf has shown to act upon the large intestine by, once again, stimulating peristalsis. 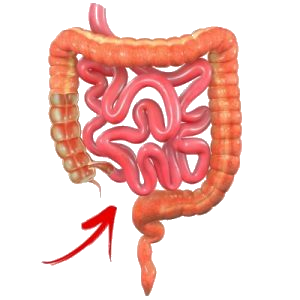 You see, both of your intestines have this integral function called peristalsis, which is a kind of “wave-like” movement that pushes contents to your colon. The right herbs, when used in a colon cleanse formula, help your bowels perform peristalsis better. And when you choose Cascara or Senna, you can bet you’ll start pooping more regularly within no time at all. 2. Alleviates painful bowel movements. There’s nothing more embarrassing than being scared to go to the restroom because you don’t want to feel pain. That’s no way to live. Thankfully, one of the benefits of a colon cleanse is to help alleviate painful movements. For example, one of our customers who has taken My Gentle Detox for almost 15 years (!) used to experience painful movements. Now she doesn’t. I’ve been using this since 2006, and it’s the only thing I use to go to the bathroom with. Pain medications used to cause me difficulty with irregularity. It’s by far the best for me. I highly recommend it to anyone – Cheri M.
One of the ways colon cleanses can alleviate painful bowel movements is by softening your stool. Once again, we have the two star ingredients joining this benefit list, along with added Aloe Vera. 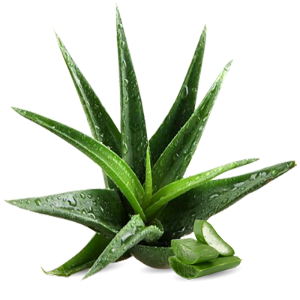 Aloe Vera, along with boasting so many other benefits, is an incredible ingredient for herbal colon cleanses. Actually, the Aloe Vera family is the most biologically active of the Aloe species, and when saddled up against other laxative agents, has shown improved constipation indicators (bowel movement frequency, stool consistency, etc.). While you definitely want to see your doctor if you’re suffering from real, chronic constipation, a natural, herbal colon cleanse is perfect for the rest of us who just need to alleviate some discomfort in the down-there region. If you get bloated the same week every month on the dot, that might be menstruation. But if you experience bloating often, and you think it’s related to your digestion, then an herbal colon cleanse is a perfect fit. First, if you’re bloated, you should first think about the foods you’ve been eating. They are generally the first culprit. Consuming an excess in sodium, for example, is sure to be a bloater. The American Heart Association recommends a maximum of 2300mg a day, but advises you shoot for 1500mg. 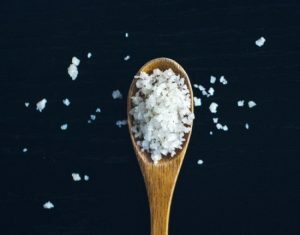 Here is what’s scary: more than 70% of the sodium we consume is from our food, not from the salt shaker. Other items that may bloat you include heavy starches (bread, potato, pasta) and artificial sweeteners (commonly found in soda pop and “flavor enhancers” for water). While you definitely want reduce your intake of these two, colon cleansing can take your fight against bloating to the next level. The longer your stool sits in your colon, the more time bacteria have to ferment what’s there. You’re going to get gassier, and you’re going to feel a lot more bloated. The more effective your digestive system is at removing build-up, the less likely you’ll suffer from bloating. And what’s a better way to improve your digestive system? Chemicals, or natural herbs? 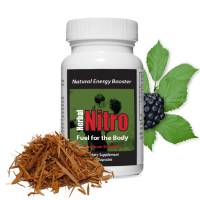 When your digestive system isn’t running at its top gear, your body suffers. In fact, if your digestive system were to shut down, the body couldn’t nourish itself or get rid of waste. For digestive health, your best bet is to eat healthily, and “[eliminate] acidic things from the diet, such as tomatoes, onions, and red wine,” says Dr. Larry Good, a gastroenterologist associated with South Nassau Communities Hospital. Even drinking alcohol can disrupt your digestive system (but we’re level-headed, so we’re not going to tell you to ditch the wine). After all, everything we consume is filtered through our digestive system: so if we neglect it over and over again, we can’t expect it to be 100% healthy. That’s why one of the grandest health benefits of a natural colon cleanse is digestive health. The herbs in this colon cleanse deal not only address your intestines, but also your liver, blood cholesterol, and skin! There are other factors too that affect your digestive health, such as the foods you eat. Incorporating high-fiber foods is an excellent addition to your herbal colon cleanse. Here are some foods that are helpful for your digestion: dark, leafy greens (broccoli, kale, spinach); legumes (chickpeas, kidney/pinto/black beans); fruit (raspberries, apples, figs); and nuts (chia seeds, oats); and, of course, dark chocolate. When you feed your body the natural ingredients it craves, you’ll find your digestive health improves tremendously. 5. Supports healthy weight loss. Yes, that’s correct: Colon cleanses can help weight loss… but there’s a catch. Weight loss from a colon cleanse is not sustained weight loss. 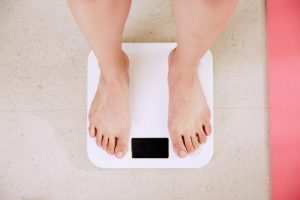 After immediately starting your herbal colon cleanse, you are likely to see experience a decrease in weight–but that’s because of the excess build-up you just removed from your body. Certain colon cleansing herbs that act on the intestines, such as Cascara Sagrada, promote stool evacuation, which means you’ll be evacuating more than a little bit of waste. A healthy diet, filled with fiber and supplemented with occasional colon cleansing. Plenty of exercise–at least 4 times a week, and accompanied by drinking more water. Consistency: the day-by-day pressing on toward your weight loss goal no matter the difficulties. Click here to read about an herb that crushes your appetite. 6. Helps keep liver and other organs safe. When it comes to natural colon cleansing, you’ll notice there are side-benefits that you never even expected. One of those is increased organ health. Depending on the herbs you use, your colon cleanse can either be straight-to-the-point or a holistic solution for digestive health. We prefer the latter. Dandelion and Fennel, for example, each come naturally with antioxidant benefits as well as the ability to fight constipation. Dandelion, for one, is a potent diuretic, which means it increases the amount of water and salt passed with urine. 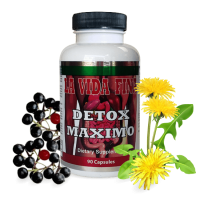 When added to a colon cleanse formula, you get a two-in-one “detoxing” benefit. 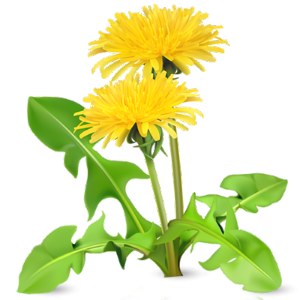 Dandelion, of course, is also a wonderful digestive stimulant, and has been used for gastrointestinal problems for ages. 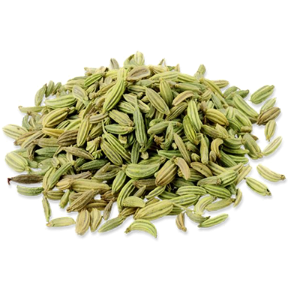 Fennel, similarly, is a boon to colon cleansing. It’s no doubt that if you’re going to do a colon cleanse, it should be one filled with herbs, leaves, and roots, so you get all the concomitant benefits of the ingredients! Click here to try an all-natural colon cleanse made with the herbs from above.